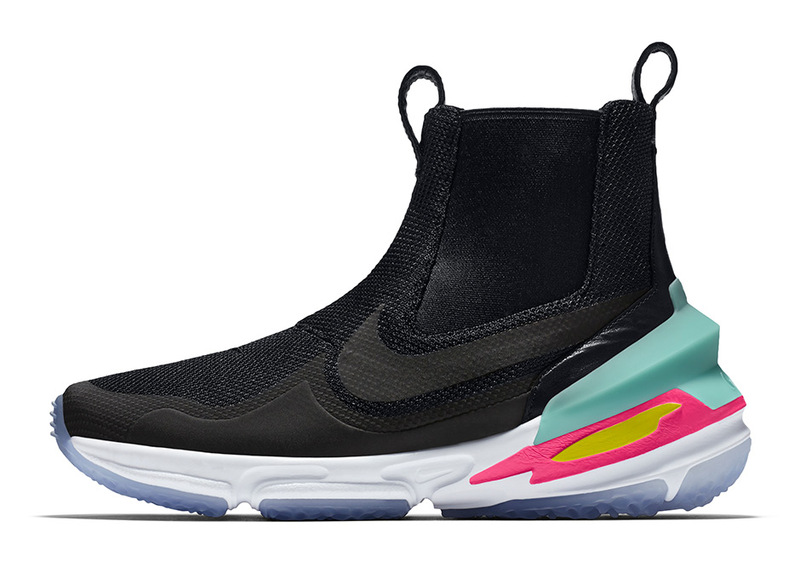 In 1990, Nike debuted the Aqua Boot, a shoe made for water sports like sailing and windsurfing that became a street style favorite. 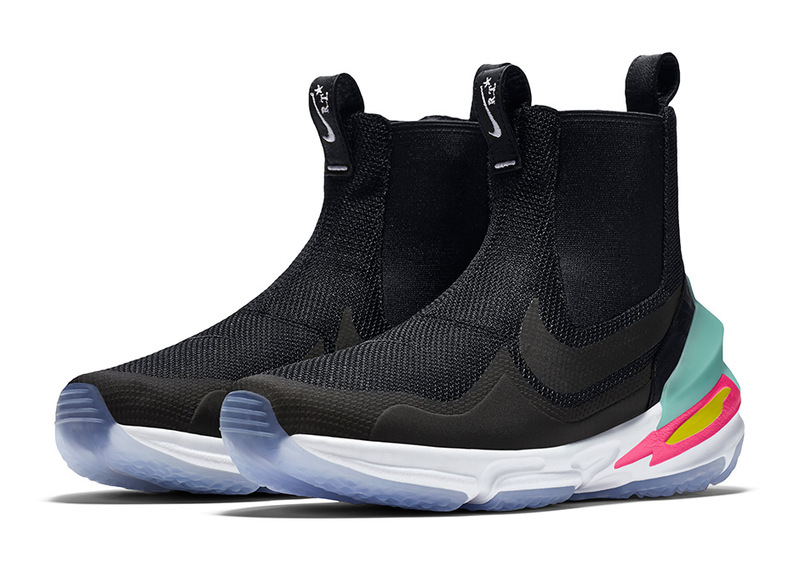 Over 25 years later, the sole of the Aqua Boot provides the foundation for the new NikeLab Air Zoom Legend x RT, a Chelsea boot inspired by the merging of ocean and land in Rio de Janeiro. 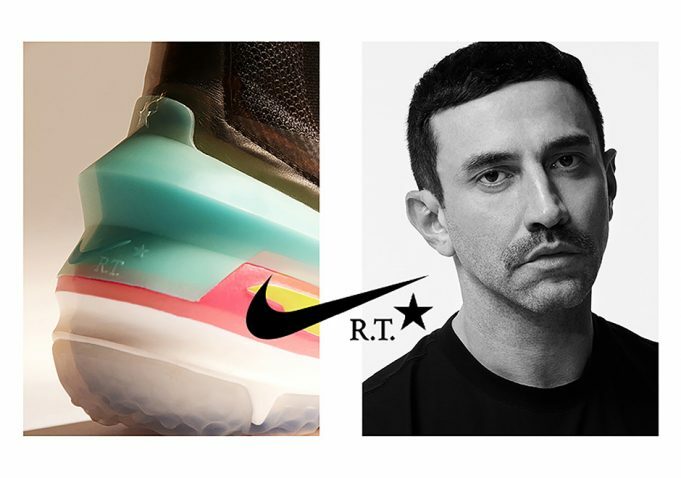 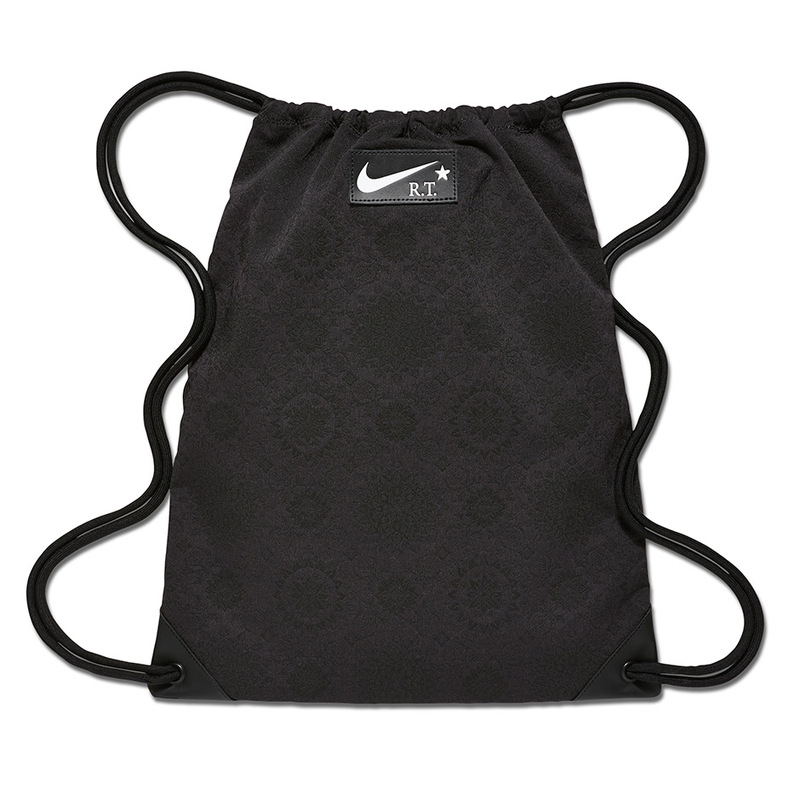 Created in collaboration with Riccardo Tisci, it marks the fourth time the designer has teamed up with Nike. 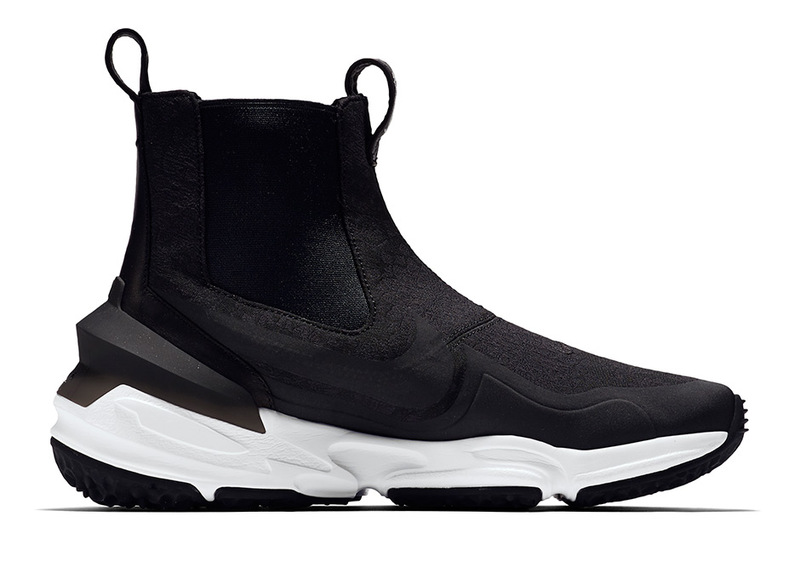 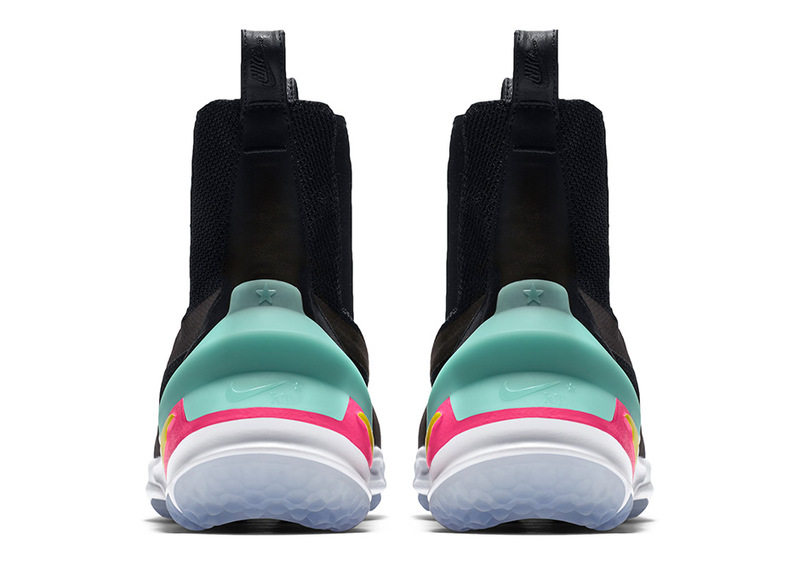 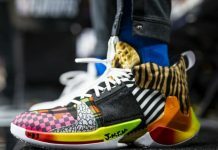 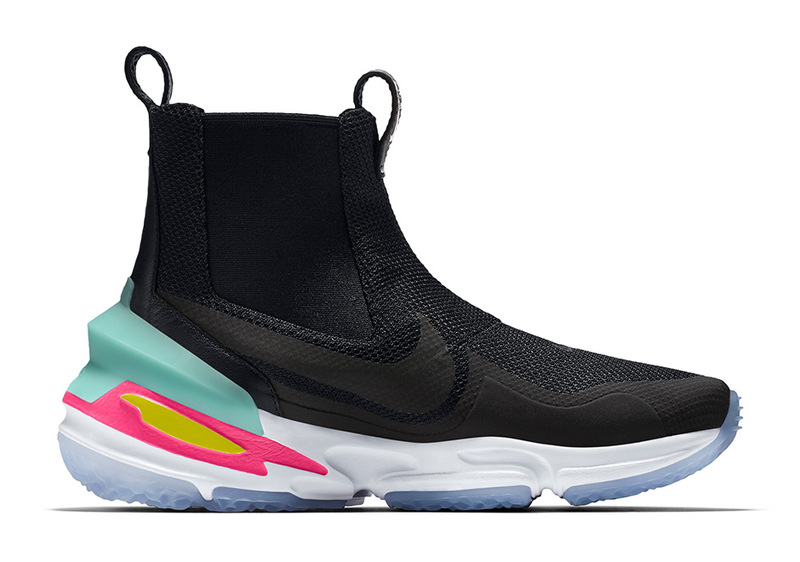 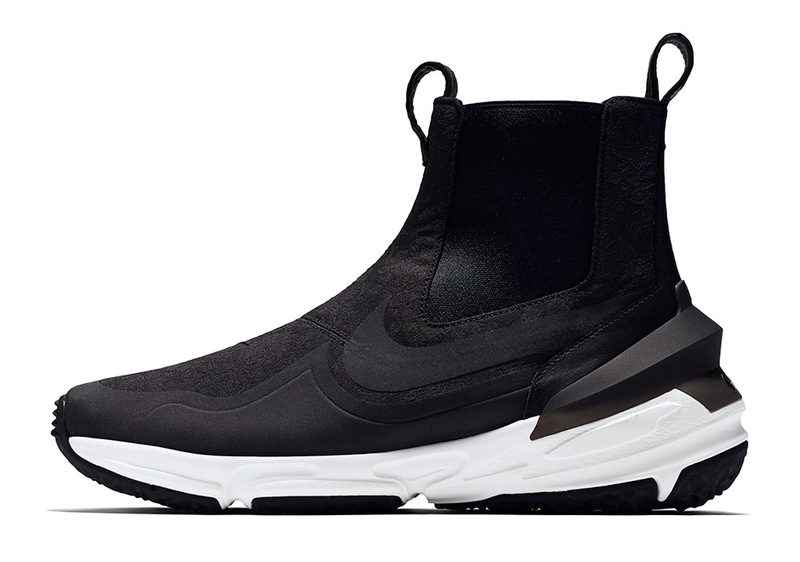 Working closely with the NikeLab design team, Tisci created two versions of the shoe, one with a basketball-inspired black mesh upper, colorful heel and ice outsole. 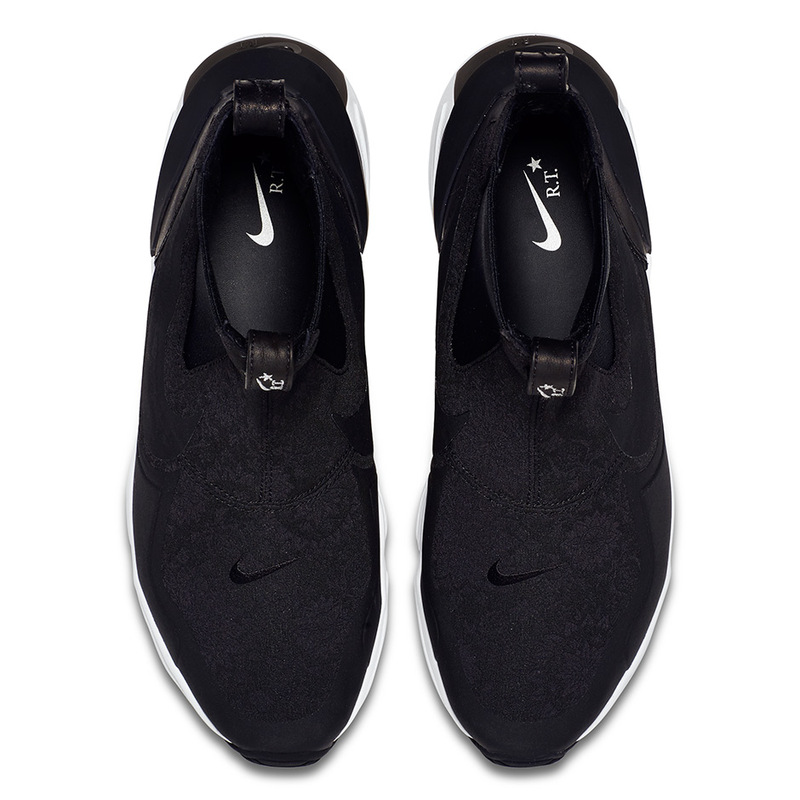 The second version has a grey floral pattern embroidered on a black, woven jacquard upper and white midsole. 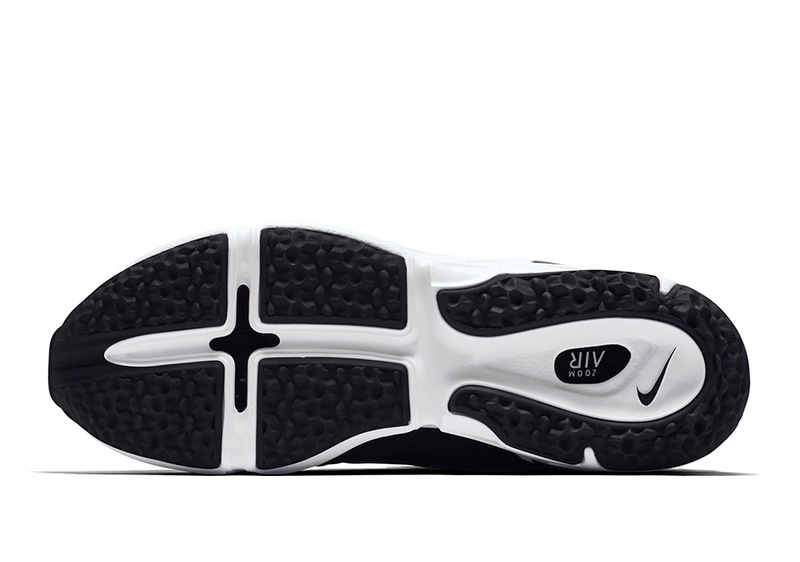 In contrast to the shoes’ intentionally minimal uppers, both outsoles contain geometric midsole tooling inspired by Rio’s curvy Copacabana sidewalk. 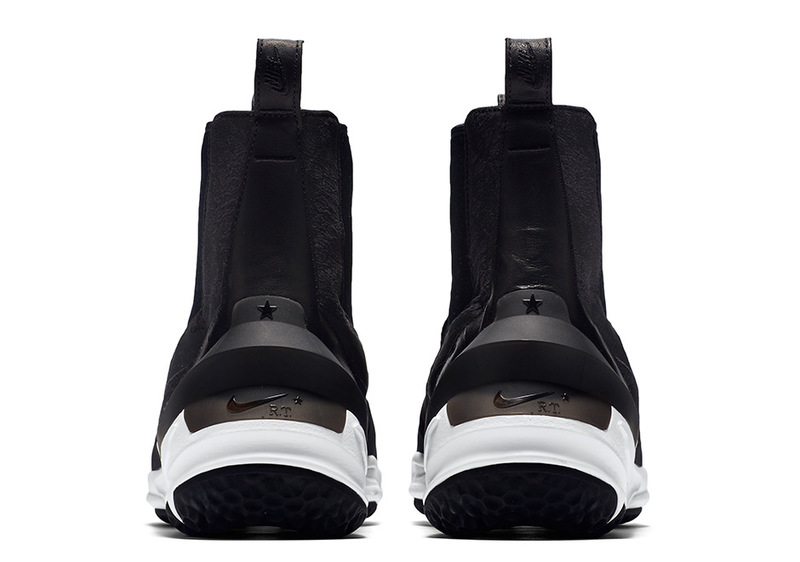 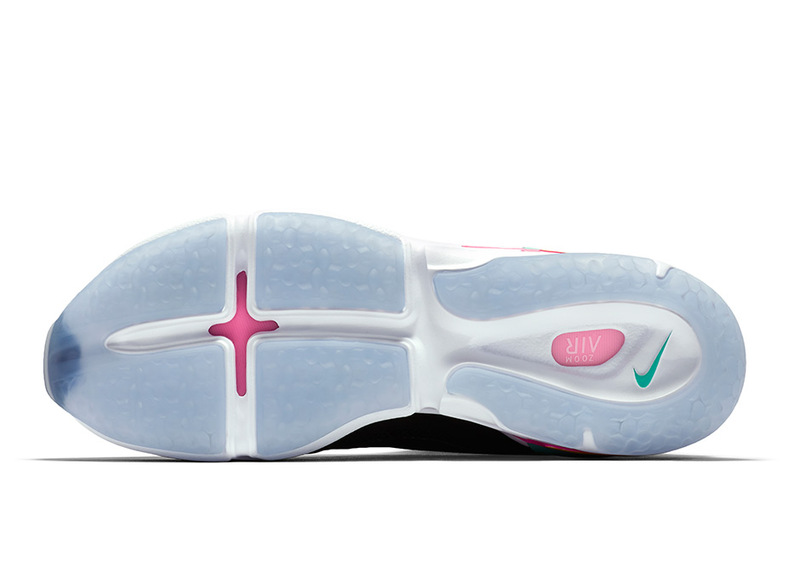 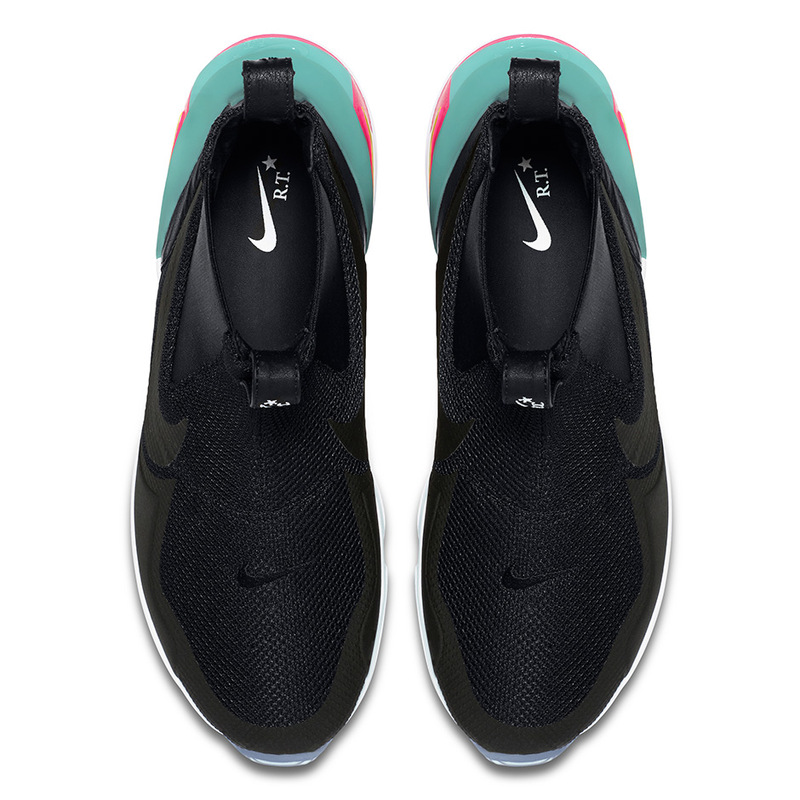 For unique RT style, the shoe is finished with leather lining, pull tabs and foot beds, as well as a heel clip that has the RT logo, star and Nike swoosh branding. 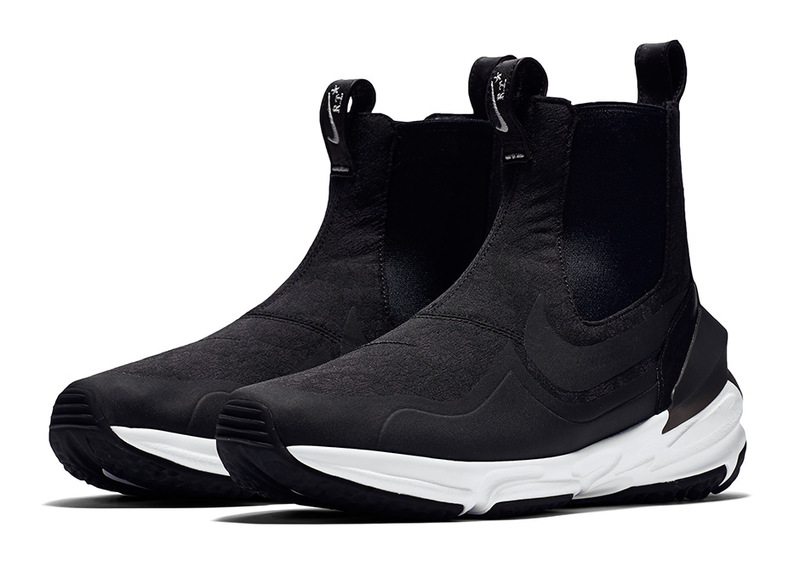 The NikeLab Air Zoom Legend x RT is available December 8 at NikeLab retailers and on nike.com/nikelab.